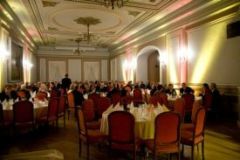 The Social Event and the Conference Dinner will take place on April 19th. 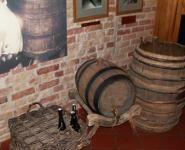 Social event will start with a visit to Saku Manor and Brewery. Saku Manor is located in the middle of Saku town and dates back to 1622. 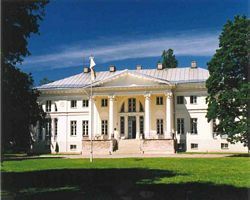 The manor house itself was constructed in 1820 and is among the best examples of classical architecture in Estonia. 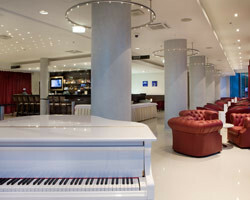 It is thought that the building was designed by one of the most famous architects of that period – Carlo Rossi. 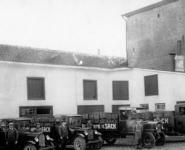 As the oldest brewery in Estonia, Saku Brewery takes pleasure in introducing to you its history, production process and products. During the excursion, some time you will spend in the brewery learning a few facts about the production processes and some will be spent on tasting of the products of Saku Brewery - water, soft drinks, cider and beer. 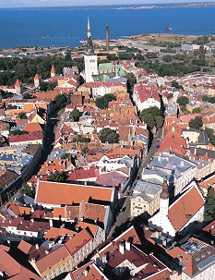 After that, we will have a guided tour to the best preserved medieval old town in the Northern Europe. 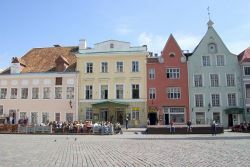 The tour guide will introduce the country and its people, the history of Tallinn and the Old Town, Tallinn's number one attraction. Finally, the Symposium Dinner will take place in a medieval building on the Town Hall Square. 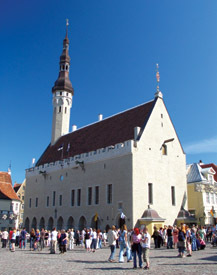 Tallinn Teachers’ House is located in the heart of the old town on Town Hall Square. It was first mentioned in 1333. 3 properties belonged to the merchants and other private owners, the tsardom of Russia, the Baltic Sea Fleet (Russia), the government of the Republic of Estonia (hall of the Temporary Government of Estonia, 1918-1919), navy officers (casino) and 1958-1989 House of the Employees of Education and Science field of Tallinn. The quite complex collection of buildings was transferred to the Russian army in 1766, which resulted in the establishment of an officers’ club and a casino. The present division of rooms dates back to the 1830s. In the rooms of the Teachers’ House modern technical solutions are combined with a unique historical interior.